The Upper Cervical Blog: Upper Cervical Care...Magic or Miracle? Upper Cervical Care...Magic or Miracle? Greetings friends and warm welcomes! It's unbelievable how fast the summer season is going. We celebrated our Grand Opening in grand fashion for sure! The month of July was spectacular and was filled with some amazing transformations, some tears of joy and a lot of "cautious optimism." That is why the title of this post is "magic or miracle?" Again, it seems that trends come and go in the office much like the tides at the beach. Recently, the latest bunch of new practice members seem to share the same outlook on life when it comes to their health. I submit they all have been told they "just have to live with the pain." Well, after each of their first Upper Cervical Corrections, EVERY SINGLE one came back on the follow up visit and said the following words: "I'm not sure what you did to me, but I think I feel better." I asked them each the following questions: "You seem unsure about how you are feeling, why is that?" EVERY SINGLE person responded with: "I'm not sure I can believe it. It seems too simple, what you did." At this point it becomes clear, I'm either a magician or a miracle worker, or so I'm told. Well, let me assure you I am neither. I am a specific Upper Cervical Doctor and I focus all of my efforts on a 1-2 millimeter misalignment of the atlas and it's direct relationship to the brainstem. When the atlas misaligns, life begins to stink in a hurry and it only gets worse as you age. When we unlock the atlas from it's life-robbing position and the body sets it in a life-giving position, life begins to smell like roses and continues to get more beautiful everyday! That's all I do! Magic is illusions, slight of hand, voodoo, occult etc. . . Miracles are supernatural, mysteries and are often laced with Divine intervention. 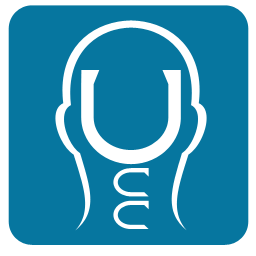 Upper Cervical Care is a precise, scientific and philosophically sound chiropractic procedure. Do miracles occur in my office? EVERY DAY! But not because I am a miracle worker. Rather, when you stop to consider the people and paths they walk and how at some specific point in time, our paths meet. . .it's no coincidence they are in my office. THAT IS A MIRACLE. Perhaps I get credit for the "miracle assist", but the work was in progress for months and/or years. I simply move the bone. God does the healing. Friends, life is supposed to be lived in a state of "Ease". Anything less than that is "dis-ease." Call it magic or miracles or heck, call it nonsense, but ask those people how they feel and they will call it undeniable. They are back to their true state of ease. Isn't it your turn to feel the "ease" of life?